Kenpo Karate - The Ultimate in Self Defence. Welcome to the Rathdown Kenpo Karate web site. 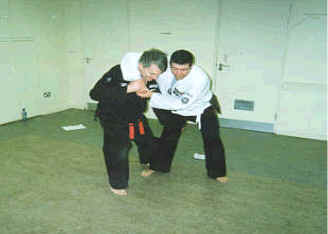 We have been providing Kenpo classes in the Dundrum area since 1993. We cater for all age groups ranging from beginner to advanced students. We plan to refresh this web site and would welcome any feedback. Should you have any comments or suggestions please do not hesitate to contact us. We hold classes every Friday night in Taney Parish Centre, Taney Road, Dundrum. Our Friday class schedule is as follows: 6:15 - Children aged 6 to 8 years, 7pm - Children aged 9 and above, 8pm Adults. We also hold classes every Monday in Rock Fitness Dundrum from 8:30 to 9:45 for yellow to black belt level. The cost for each childrens class is €4.50 and each adults class is €6. IKC 2004 Photos from the European International Kenpo Championships 2004. Venue - The National Basketball Arena, Tallaght, Dublin 24. 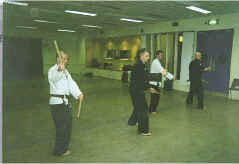 Rathdown Kenpo Karate Video Gallery Videos of Kenpo Karate forms (Kata), Self Defense techniques, Freestyle techniques, Isolation Sets and much more.